Despite thousands of years of hard work by brilliant scholars, the great enigma of where Hannibal crossed the Alps to invade Italy remained unsolved. But now it looks like we may just have cracked it – all thanks to modern science and a bit of ancient horse poo. As a microbiologist, I was part of the team that carried out the research. Hannibal was the leader of the Carthaginian army during the Second Punic War with Rome (218-201BC). 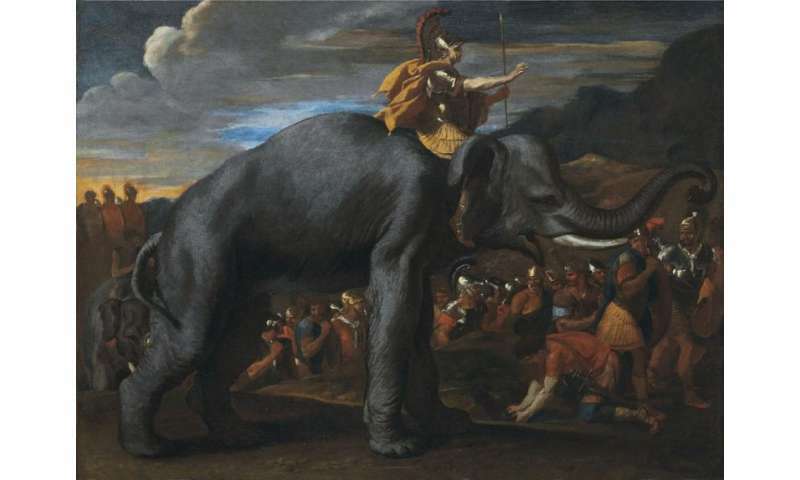 He famously led his 30,000 assorted troops (including 37 elephants and over 15,000 horses) across the Alps to invade Italy – bringing the Roman war machine to its knees. While the great general was ultimately defeated after 16 years of bloody conflict, this campaign is now regarded as one of the finest military endeavours of antiquity. We can say, in retrospect, that these events ultimately shaped the later Roman Empire and therefore the European civilisation as we know it. For more than 2,000 years historians, statesmen and academics have argued about the route he took. Even Napoleon is known to have shown an interest. But until now, there's not been any solid archaeological evidence. 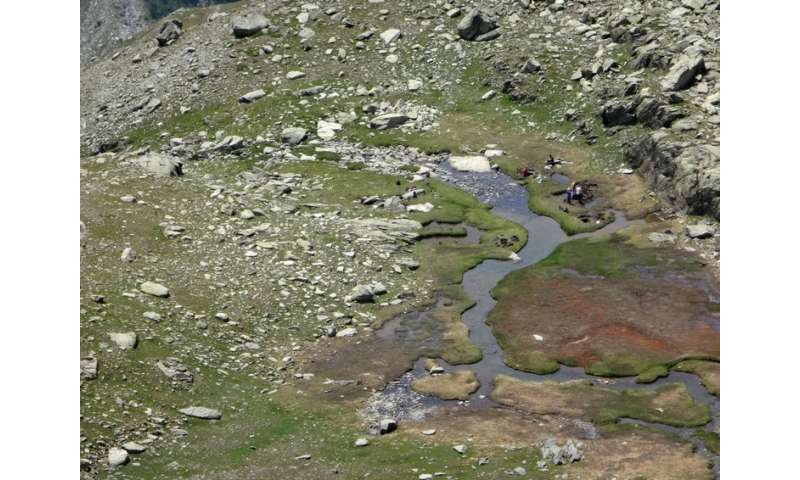 Our international team, led by Bill Mahaney of York University in Toronto, have finally provided solid evidence for the most likely transit route: a pass called the Col de Traversette. This narrow pass between a row of peaks is located on the border slightly south-east of Grenoble in France and south-west of Turin in Italy. Our findings are published in Archaeometry. 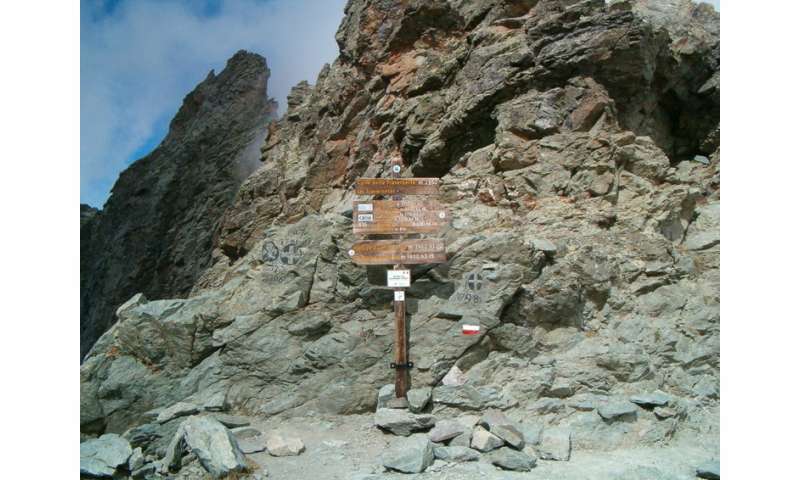 The Traversette – found at about 3000m above sea level – is a torturous path even today. The route was first proposed over a century ago by the biologist and polymath Sir Gavin de Beer, but was not previously widely accepted by the academic community. Up to this point, many scholars have instead favoured other routes across such as the Col du Clapier, about 2400m high and further north, which is certainly less treacherous today. This popular choice was largely down to the writings of both modern and ancient historians such as Livy, who lived in Padua around 200 years after the historical event but never actually visited the site of the crossing in his lifetime. So it may be that many of Livy's accounts are more fictional than factual. Using a combination of microbial genetic analysis, environmental chemistry, pollen analysis and various geophysical techniques, we unveiled a mass animal deposition of faecal materials – probably from horses – at a site near the Col de Traversette. The dung, which can be directly dated to around 200BC through carbon isotope analysis (very close to the date on historical records - 218BC), was found at a mire or pond. This is one of the few in the area that could have been used for watering large numbers of animals. The site was originally discovered during geological expeditions to the area, and already fitted descriptions of the terrain – including rockfalls – that Hannibal had to work his way through. Over 70% of the microbes in horse dung are from a group known as Clostridia and we found these microbes in very high numbers in the bed of excrement. Much lower levels of Clostridia genes were found elsewhere at the site. We knew it was these bugs because we were able to partially sequence genes specific to these organisms. The bacteria are very stable in soil, surviving for thousands of years. So why did Hannibal choose the more difficult Traversette crossing? At this point we can only speculate, but he may not have had a choice at all. Hannibal wasn't just worried about the actions of the Roman army at this time. In these relatively ancient days there were Gaulish tribes in the region, a major military force, and Hannibal may have been forced to take this more difficult and unexpected route to avoid a devastating ambush. The finding is exciting, however we cannot yet be absolutely certain that these bacteria do actually come from horses or humans. The gene analysis needs to be expanded with more genetic sequencing of other genes, if this conclusion is to be certain. I am currently leading an extensive microbiology programme to try and assemble either complete or partial Clostridia genomes from the samples taken at the Traversette mire. We may also be able to find parasite eggs – associated with gut tapeworms – still preserved in the site like tiny genetic time capsules. With this information, we hope to to shed considerable light on the presence of horses, men – and even Hannibal's famous elephants – at the Traversette mire over 2,000 years ago. This is because with more genetic information we can be more precise about the source and perhaps even the geographical origin of some of these ancient beasts by comparison with other microbiology research studies.